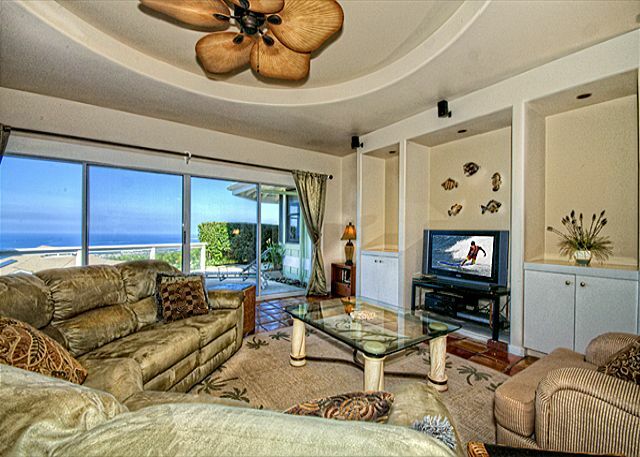 This spacious private three bedroom two and a quarter bath home offers lots of wide-open spaces and million dollar oceanviews for your tropical get away. 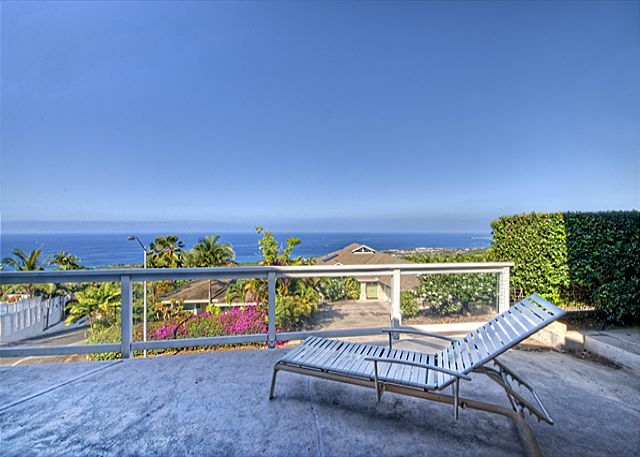 The single family home is located right above the Kona Village at about a 700 feet elevation, which offers wonderful ocean views of the Kona Coast as well as cooler night mountain breezes. There is a reason many Kona residents live in this area! 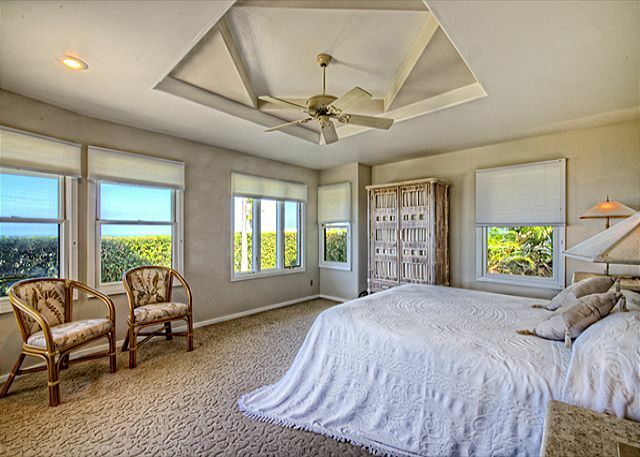 The master suite offers not only spacious living areas and private bath but also ocean views from your bed. There is no pool or spa (there is a jetted tub) at this home. The nightly rate is reflective of this. 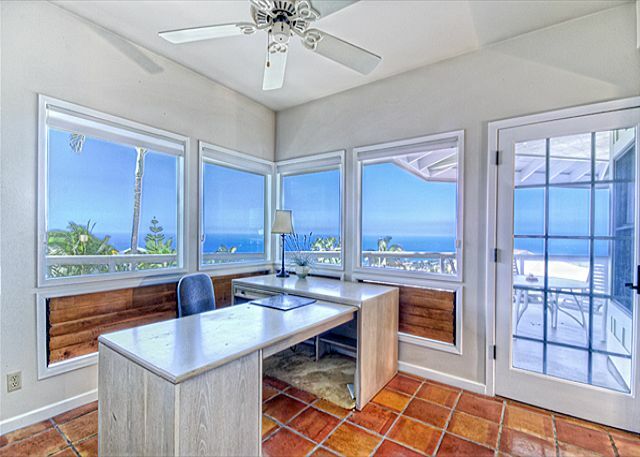 This is a wonderful private alternative to oceanfront. 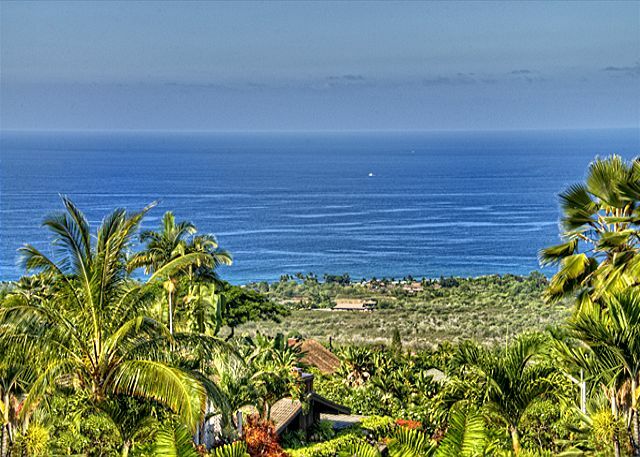 Holoholo is conveniently located, a great home base to explore the many wonders of the Big Island of Hawaii including the Volcano National Park, Mauna Kea Observatory, coffee and macadamia nut farms, artist communities, and more! We enjoyed a 2 month stay in Kona meeting all of our needs. Nick Benoit was professional, courteous and service oriented. Regardless of the time of day or day if the week, he responded to me immediately. That kind of service is priceless and I recommend working with him for all of your rental needs. I will definitely come back to Nick in the future for the peace of mind we look for on our vacation or rental needs. Aloha and thank you for your review. 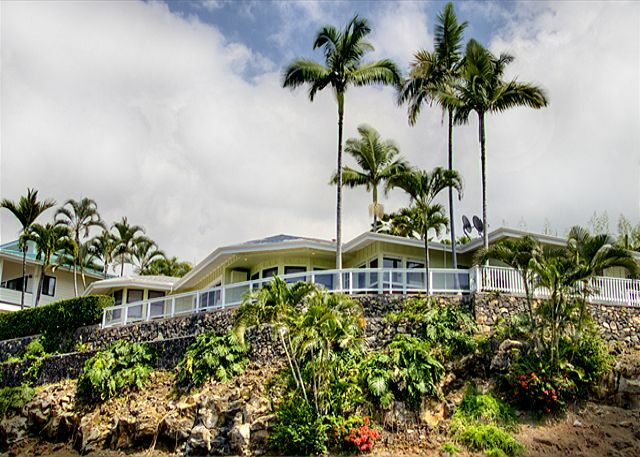 We were happy to have you at the "Holo Holo" house and look forward to hosting you for your next visit to Kona. 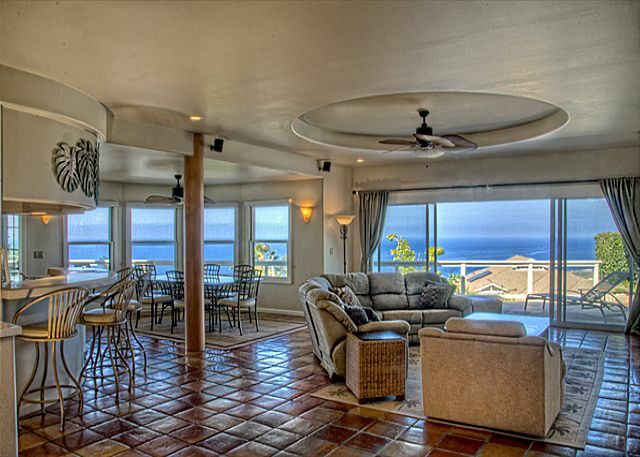 Remember, as a returning guest you will be eligible for a 10% discount when booked through the Boundless Hawaii office. We typically stay on the Hilo side of the island when we come to Hawaii, but decided to spend a couple of days in Kona this time, as well. 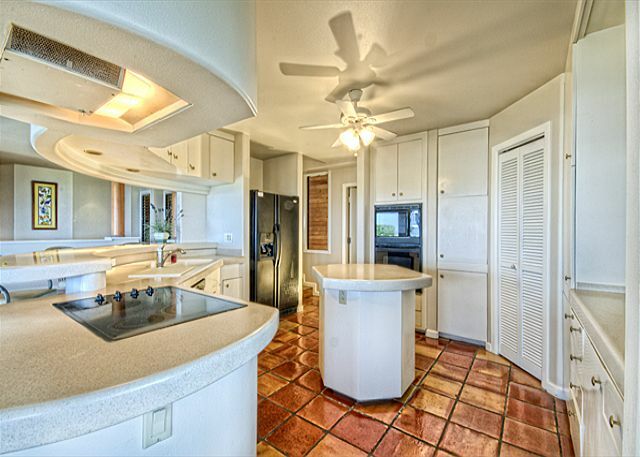 This home was exceptional - clean, well-kept, bright and comfortable. If I could have changed anything, I would have picked it up and moved it a little closer to the ocean so I could hear the waves. Still, the view was very nice and we enjoyed walking around the neighborhood and checking out all of the plants that we never see in Colorado. The management company, moreover, was very responsive when I had questions at the time I was making my reservation, which is highly appreciated. There is a high damage deposit, but I think that encourages renters to take good care of the home, which is evidenced in its condition. Highly recommend! Aloha and thank you for your wonderful review! There is a walking trail near to the home so I hope you found your way to the Old Walua Road Trail. If not, we're happy to help you find your way for your next trip! We would be happy to host you for your next visit. 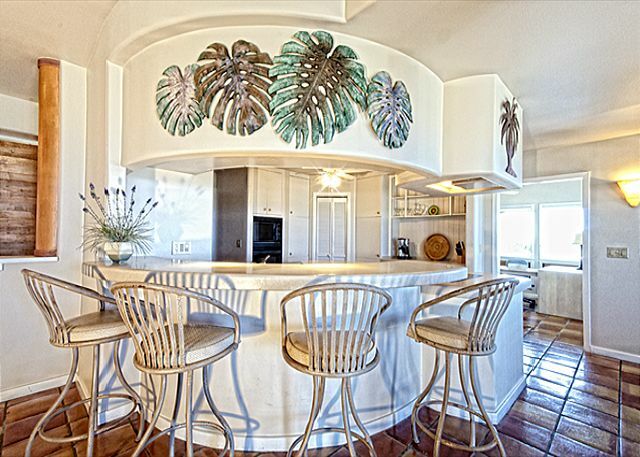 Remember, as a returning guest you will be eligible for a 10% discount on any of our rental units. George B from San Diego, CA does not recommend this vacation rental. This was a lovely home. Showing signs of wear, but nothing a few hours of fix and repair wouldn't take care of. I wouldn't recommend this property solely due to the only access to the house being a very steep driveway. A vehicle with high clearance and a short wheelbase is needed. We were driving a Ford Explorer and could not traverse this driveway. Carrying luggage, groceries, and/or children up to the house is a challenge at least, a problem at most. Great vacation house for those who are not expecting five stars. House was clean and well laid out. Our party enjoyed the great views and being close to town. a guest from Laramie, Wyoming does not recommend this vacation rental. Home was generally well appointed. No air conditioning but comfortable if we opened the windows/sliding doors in afternoon. The house was close to our activities. The driveway, while steep, was smooth, clear and caused no issues. The internet was fast/accessible. The kitchen was moderately appointed. Plenty of dishes, silverware, pans. Grill on the patio. Appliances worked properly. Even though the property is not on the ocean we had a great view. Sufficient towels/linens. The garage was a great for rinsing our dive gear. Lots of closet/dresser space. The only drawbacks were maintenance issues. The sash locks were damaged and they didn't want to lock without great care. The floors, particularly kitchen, were not clean. Your socks or bare feet were quickly soiled. This would be less troubling if there were not a substantial cleaning deposit. I should pay to have the house cleaned after our departure, however, presumably the folks there previously were charged the same fee and the floors had CLEARLY not been cleaned. To credit property management, we made no complaint about this on our arrival which provided them no opportunity to address/correct. We just dealt with it to avoid hassle. Our feeling was that it should have been done appropriately prior to our arrival. There were items of food (pretzels) on the floor when we arrived, not to mention clear spills of food juices and other things like soda or coffee. I hope our cleaning deposit goes to better use. Floors were our biggest issue. Interior doors in the residence are all louvered rather than solid. We were two couples and there was no privacy from one bedroom/bathroom to the other. Lastly, there were numerous rules that seemed unwieldy. The stringency and number made it difficult to relax. There were stated penalty fees for everything from leaving any rubbish, moving the furniture or having someone find signs that our scuba gear had been inside. Our trip was enjoyable but we would not rent this property again. Andy D from Seattle, wa does not recommend this vacation rental. 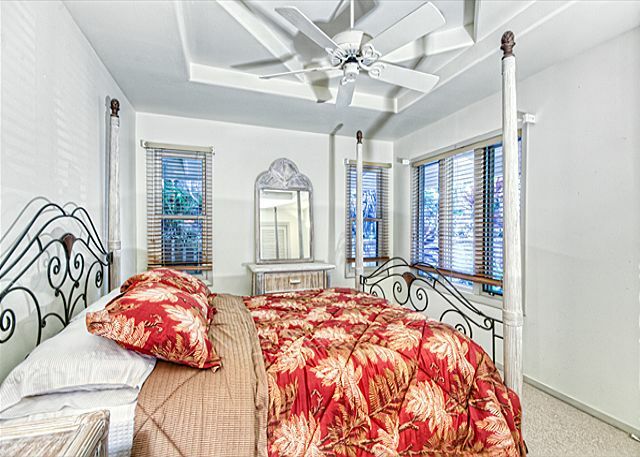 Overall it was nice for me and my wife since we had the master bedroom which looks out on the coast and a great bed. My companions had the back bedrooms and they described them as dark and depressing. One left a back bedroom and slept on the couch. The overall layout of the house seems to be more oriented towards a single family rather 2 couples. I agree with other reviewers that the bathrooms could use more sound-proof doors, especially if you don't know your traveling companions really well. And overall the place seems like it could use a fresh coat of paint and a bit more Maint in the windows. The home was large and beautiful. The view was amazing - we saw some gorgeous sunsets from the deck. Other reviews are correct - there is no need for air conditioning in the house. The breeze and fans keep the house cool. The only complaint is the driveway's steepness, but we just parked on the street and it worked out fine. The view was very enjoyable. The location is quiet and peaceful. The lanai furniture is old and needs replacement along with being dirty upon arrival. The window sills and sliding glass door tracks had not been cleaned in awhile when we arrived. I had to sweep up about a cup of sand off the laundry room floor when we arrived. The gutters have not been cleaned out in so long that plants were growing in them, so when it rained the gutters did not help keep the rain off the lanai. Management did send cleaners and Gardner out promptly when I brought this to their attention. I just feel they need better quality control before a guest arrives. The house was spacious, comfortable, and had everything we needed. Great views! The house is in great shape. The view from the balcony is incredible - a nice alternative to the main drag. We hope to rent the property again in the future. The house is huge. Kitchen is nice, but could use a few more glasses, plates and bowls for larger parties. The driveway is really steep so recommend renting a jeep or xterra otherwise your car will scrape. Has great garage to house your ride. Beautiful view. A great value for the price. No AC, but ceiling fans and also fans in the rooms. The evening temps do drop and cool air does blow through. Bird sounds are amazing, and the view is spectacular. Very close to town and Holualoa as well. Recommend the Holualoa Cafe just up the hill for first nights dinner The frogs make the most amazing sounds at night. Great brunch too. We loved the house that we stayed in. It was in a great location and mountain side was cooler in the evening. We had a great view and close to all the activities that we enjoyed. The only disadvantage was that it wasn't really kid friendly as our baby had to crawl on tiled floors and he had lots of scrapes. If our children had been a little bit older it would have been the perfect place to stay! Great house with a wonderful view at a reasonable rate in a nice quiet neighborhood. The only downfall was the lizards that kept getting in the house & a cockroach. Gekko's, not lizard are an integral part of living in Hawaii. There were 3 things that need improved w/Holoholo, 1 is VERY IMPORTANT. 1. There is no air conditioning. It was very comfortable the entire time we were there (unless we used the oven), but it would have been nice to know. 2.The unit needs better stocked i.e. more plates, bowls, cooking supplies, a colander, TOILET BRUSH, etc. 3. The driveway is treachorous!! Better get the extra insurance on your rental car if you choose this house. I would only recommed this place if your party can handle walking up a steep hill because the driveway will tear your car up! House with a beautiful view. I loved going outside on the deck and looking at the water, sunsets, and trees. The house was very comfortable and spacious. We were able to cook and barbecue almost every night which helped with my budget. I would recommend this house to a family . It was a great house! the views were nice and everything else was great. Enjoyed the shower and jacuzzi bath. 2 bad things though. The driveway is ridiculous to drive up especially with a minivan..SCRAPES! and the speaker system was not working fully with the sub woofer out. But besides that im ready to return to the same house! This is a beautiful house and very comfortable. It has a great location and fabulous view. It was so spacious and very clean. The rental house was pretty much as advertised. The view was great, the house was in a nice quiet location and we had plenty of space to spread out and relax. The only downsides are that the doors have slats so you can hear everything from the bedrooms/bathrooms. The other challenge was that the driveway to the garage was incredibly steep, our rental car drug front and back every time we pulled into the garage! Our stay at Holoholo was great with one major exception: the shower in the master bath was not functional! This was NOT okay. Considering that we were diving or snorkeling everyday, not having only one functioning shower for four people was inconvenient. Only other drawback was that the coffee maker was not cleaned and was moldy. After extensive cleaning on our part it was useable. The location was quiet, peaceful, and ideal for our planned activities. The view was marvelous, with a parting rainbow on our last morning!